Well, this is quite beautiful. 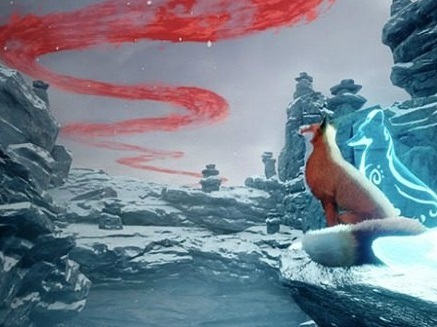 Spirit of the North bills itself as a "single-player, third-person adventure game", but that's a rather dry and dull way of describing something this beautiful. What it actually is is a story about a fox in the frozen north of Iceland. That fox has his fate become entwined with the guardian of the Northern Lights, which takes the form of a female spirit fox. The game will launch "first on PlayStation 4." We assume that means Xbox One, PC and Switch ports down the track, but there's no confirmation of any of that at this stage. There's no release date either, so I wouldn't expect this earlier than 2019.